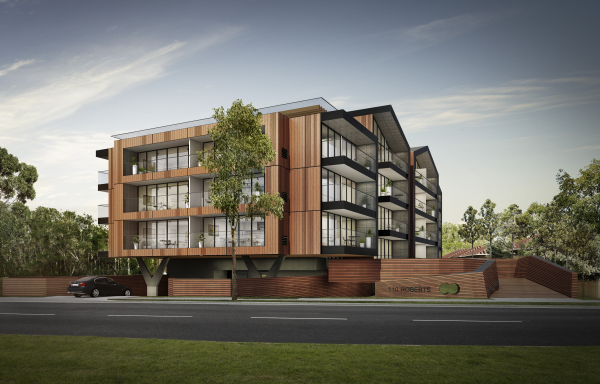 Located in West Footscray, Eternity is a socially, environmentally and economically sustainable housing project that aims to change the way sustainable living is viewed in the emerging West Footscray area. The site is uniquely positioned. Stoney Creek runs along its southern boundary and directly abutting its western edge is an open reserve, with Bassett Reserve to the East. “We want to establish a community, a place people enjoy walking in, as much as living in,” says k20 Architecture Director Theo Kerlidis. Unlike the developer, who was intending to completely denude the site, Kerlidis and his team will be re-establishing the embankment, introducing native species that once existed. Residents will be able to enjoy the parkland surround of Eternity which will be designed to enable recreation and social connectivity. Stoney Creek is to be fronted by a revegetated parkland with adopted indigenous species that promote the natural ecology of the land. 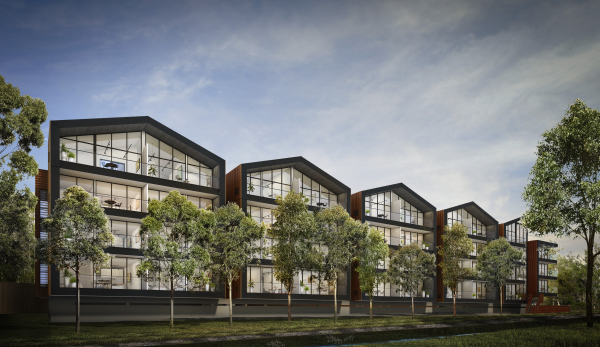 As well as the southern parkland, the development includes a northern parkland setting, a northern deck with vegie boxes for the residents and a large communal roof top deck. 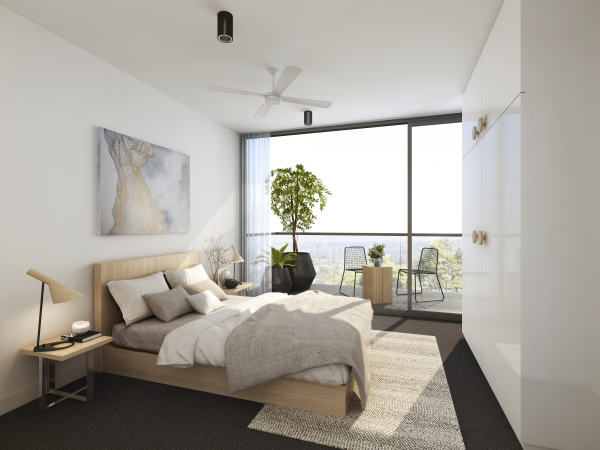 The connection to the natural environment is further enhanced through the design of apartments that maximise direct access to natural daylight to each and every habitable room. “Nature is eternal. 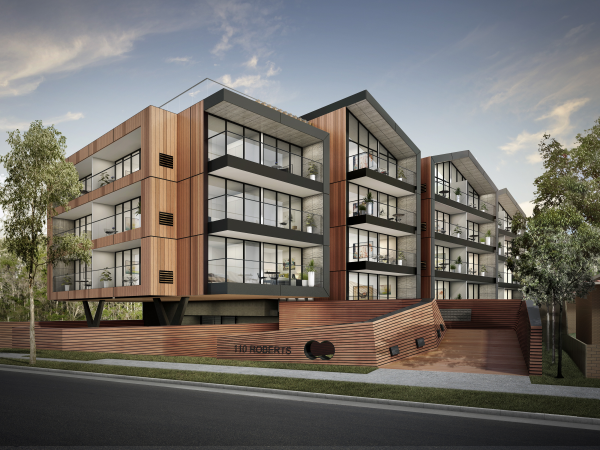 It’s about connecting to it and enjoying it, whether you’re on the banks or entertaining from your balcony or from the communal roof terrace.” says k20 Architecture Director Theo Kerlidis. For k20, the opportunity to create ‘Eternity’, a short train ride from the CBD, is allowing this environ to move forward and enrich what was previously a neglected riverbank. The connection to the weeping elms and willows which have been there for decades, also creates a well-established precinct that has a sense of eternity; of being there forever. 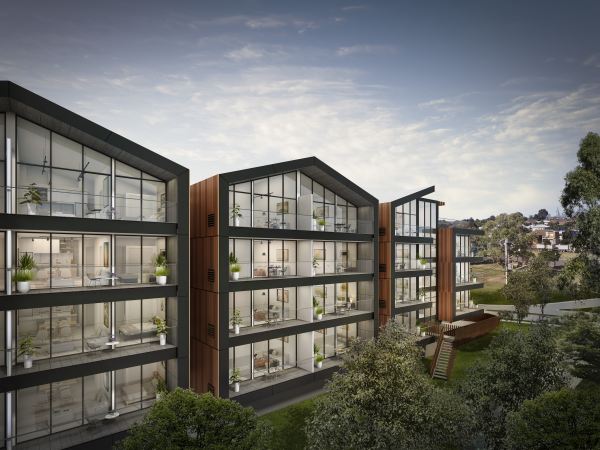 While the Eternity apartments will cover considerably less ground than the original approved scheme, it will include a greater number of apartments, 61 in total and spread across four levels. 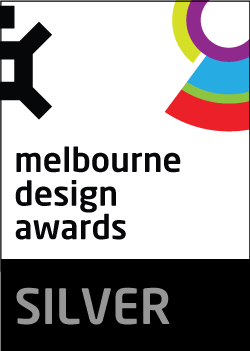 The architects not only looked closely at the immediate environment for the new apartments, but also researched the different typologies of development that have occurred along some of Melbourne’s inner-city creeks. Many of these buildings are warehouses and have a strongly articulated pitched roof, which is a strong design feature in Eternity, emphasised with black steel that is also expressed on the balconies. k20 Architecture has included a generous roof garden for all residents to use that will include seating and barbeque facilities. 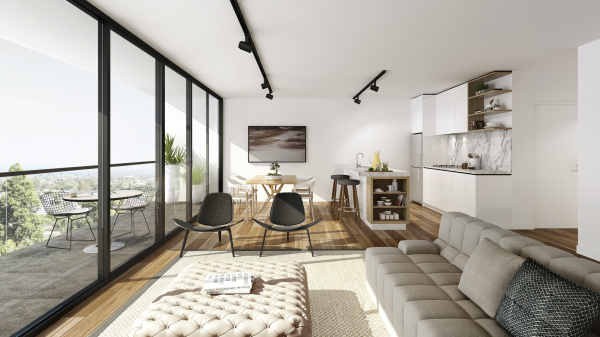 “Most of the apartments will enjoy views of the creek, and some will take in the city skyline and views over Docklands,” says Kerlidis. 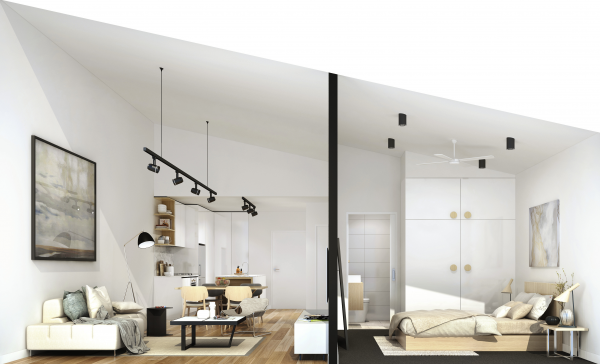 In designing Eternity, k20 Architecture sought to set a new standard for innovative and sustainable housing in an affordable housing price bracket by creating a scheme that was equal in quality from exterior to interior. generous balconies, while the two- bedroom apartments will be almost 90 square metres, some of which have 50- square-metre-sized balconies. The project is also designed to enhance the connection to the surrounding natural environment through the design for the internal communal spaces as well as the external timber boardwalk that meanders along the site. Access to natural daylight and city views are also designed to be equally accessed via large internal atriums to each structure. A series of communal gardens and common rooftop terraces are also incorporated and serve to heighten the sense of community within the site. The quality of private and public space, landscaping and access to natural daylight and ventilation combine to achieve a socially responsible development and a project that both enhances the connection of residents to the local environment. One of the biggest challenges k20 faced while designing the Eternity project was their efforts to save the trees surrounding Eternity and restoring the ecology of the land. On approaching Melbourne Water k20 were met with concerns regarding the water storage catchment, which regarded the flow of Stoney Creek adjacent to Eternity. When it came time to building Eternity, Melbourne Water would allow all existing trees to be removed entirely. k20 were not happy with the impact this would have on the surrounding environment and engaged a specialist hydrologist to produce data and develop a plan; this was later accepted by Melbourne Water. This plan promoted the flow of water, while retaining the surrounding trees. k20 Architecture were faced with a second challenge when discussing the project with Urban Planning; who requested an internal courtyard be incorporated within the design. This would mean an increase in the projects carbon footprint but was proposed as it was a way of creating cross flow ventilation within the building. k20 knew that this method would mean that the building would now cover all trees along the northern boundary. The final k20 design saw all apartments facing the street incorporate cross flow ventilation, which makes up over half of the apartments. The building area was not increased, and k20 managed to continue with their vision of using less than 50% of the site area for building while retaining all northern trees, providing the ability for the ecologist to suggest more trees planted. To the west of Eternity is Stoney Creek Reserve, a previously neglected riverbank. k20 have engaged an ecologist to advise on the replanting; while discussions are underway with Land for Wildlife in conjunction with the Victorian Government Dept of Environment, Land, Water and Planning to further rejuvenate the riverbank. The parkland will be revegetated with indigenous species, a process that will continue over the next ten years, eventually replacing the 70-year-old willow trees that currently line the creek, and returning the landscape to its natural state. The intent is to promote local bird life within a natural ecology and to create a relaxed setting that can be enjoyed by the building’s occupants. The choice of materials is proposed to incorporate a high level of recycled content as well as the use of local suppliers to reduce carbon miles in the construction. The development will be created sourcing at least 80% of its construction from local suppliers providing local employment and generating direct and indirect employment for hundreds of people. Passive environmental design principles such as the inclusion of solar power, solar hot water, individual metering, rain water harvesting and roof top communal gardens also provide opportunities to lower the operational costs of the project. Car stackers have also been incorporated in lieu of a larger car park to minimise the overall footprint of the building enabling the large parkland spaces around the project. k20 have also been in discussions with council to activate the southern reserve by enabling the extension of stones creek bike path, with those discussions continuing.